Project Type: Construction of Three (3) Double Storey Dwellings. 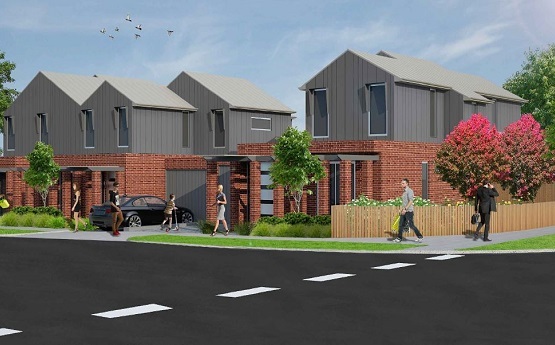 The proposal was for three (3) double storey dwellings each containing three bedrooms on a corner allotment. This proposal attracted a few objections from local residents with issues in relation to car parking and visual bulk, however we were able to demonstrate to Council that the proposal was appropriate and the permit issued following a unanimous vote in favour of the development by Councillors at a Council Meeting.